‘Alternative cartography of cities weighted for human emotions’. Our current mapping systems are very good at giving us the shortest route from A to B, alerting us to possible slowdowns along the way, and providing alternate routes that, while possibly longer, will avoid the slowdowns thus providing the most efficient route given the situation. What if you are looking for something different than the shortest route? Happy Maps wants to ‘maximize the emotional gain’ of routes. I remember a cross country driving trip my husband and daughter took. Their take-away was that if drivers are ever offered a ‘scenic route’ they should take it. Some of the most beautiful vistas are along the scenic routes that most of us avoid because we assume they take longer. They might add a few minutes, but they greatly enhance a long, predominantly highway road trip. 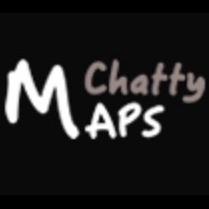 Happy Maps is a version of that advice. Happy Maps is a GPS algorithm – soon to be app – that will allow travelers to consider alternative routes that they might enjoy and will improve their overall quality of life. Happy Maps still wants to send us on an efficient route from A to B, but perhaps not THE shortest. The alternate routes are only marginally longer, but much more aesthetically pleasing. Would you be willing to take a few extra minutes for a more pleasant experience? The founder, Daniel Quercia, commuted to work in Boston every day on his bicycle. The fastest route was along Mass Ave. which was hair-raising and crowded with cars and fumes. One morning he decided to change his route and came upon a tree-lined quiet street that didn’t even take him out of his way. A lightbulb went off and he began to think about developing a way to offer travelers the option of a better travel experience. He layered computer science onto social science to find the most enjoyable route from A to B. He researched which parts of cities people found beautiful. To create these maps of alternate routes he set up a crowdsourcing game called Urban Gems where he presented thousands of online participants with two urban scenes and asked them which one appeared quieter, prettier, happier and so forth. He then joined Yahoo Labs and his team aggregated the winning locations in London and used cartography built on human emotions. Quercia is also working on smells in a city and is creating Smelly Maps. It is available now for London, and really fun to play with. Click on a street and see what the smell rating is and what the scents are. Waste, food, nature, emissions and animals are the ‘smell’ categories. Sounds in a city are also important so Chatty Maps are being developed. You can click on a street and get its noise rating and what the noise is made up of. The noise categories are transportation, human, nature, music or building. So far only London, Berlin, Boston and Torino have had the Happy model applied to high traffic areas but they are not yet available in an app. We are hoping they soon will be! Thanks for the post it was really informative and fun!